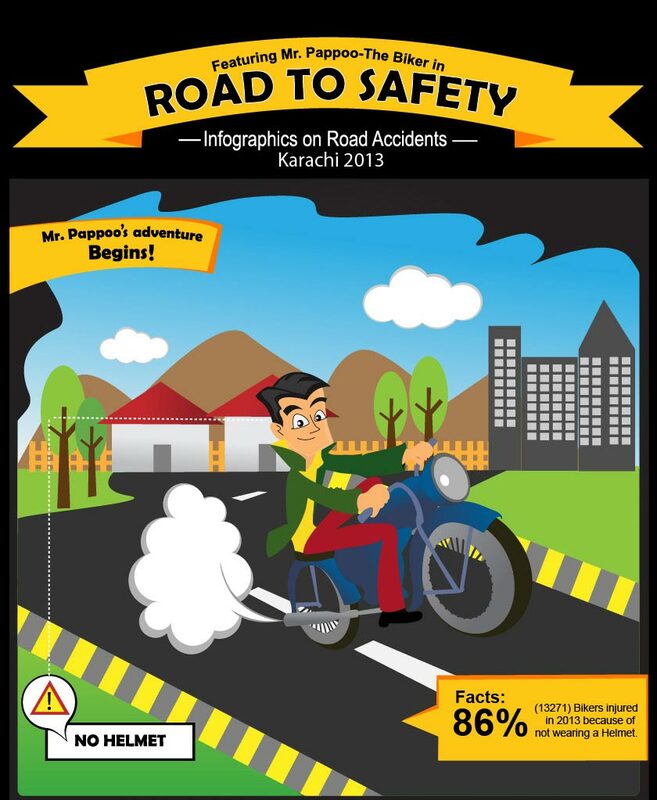 Our exclusive inforgraphics on ‘Karachi Road Accidents – 2013’ has proven his words to be the harsh reality. According to the data provided by ‘Traffic Injury Research & Prevention Centre’ only 11% of karachiite wear helmet while the remaining 86% consider themselves either too cool or immortal to stay unharmed in case of an emergency or accident. The research brings some clear facts to light and identifies the problem areas that can easily be corrected with proper precautions and steps. For instance, putting up road signs, highlighting directions and keeping emergency first aid camps near Shah-re-Faisal, the most dangerous road in Karachi will definitely help in bringing the fatality rate down. Similarly, the concept of wearing seatbelts is alien in our society. To solve this, auto brands that spend millions on hard-selling their cars can collaborate with traffic management institutions to inculcate the habit among the masses through their CSR and marketing initiatives. Have a detailed look at one of the biggest dilemmas of the city Karachi.